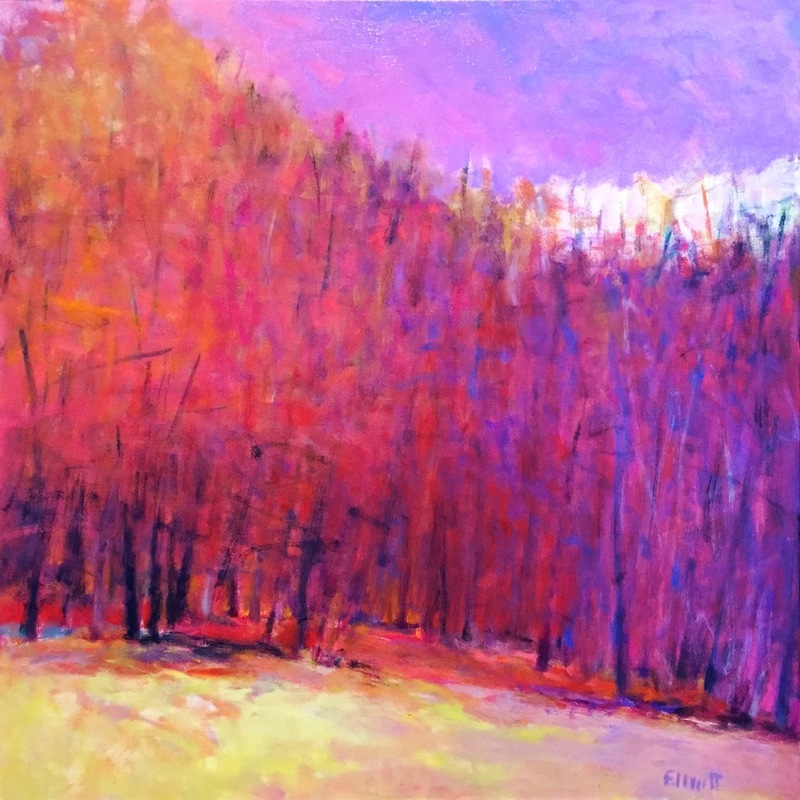 This oil developed from a smaller work (above), Edge of the Woods 36 x 36 inches. I wanted to make a more horizontal version and push the reds further. In doing so, I noted some greens on the left portion of the oil while it was in progress. After trying other colors on the left, I kept coming back to the green because it created more impact and the unusual look I wanted. 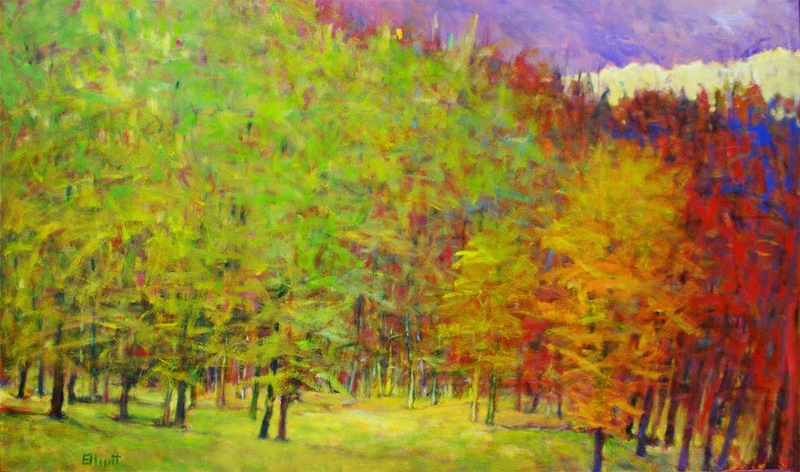 The painting grew stronger as the brightness of the colors increased. In the end, I kept feeding brighter reds and greens into this scene, merging the two and adding other designs devices until it all came into balance.